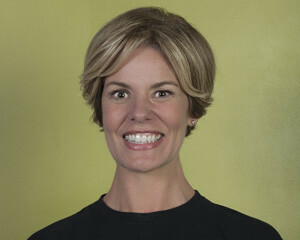 Laura Coombs is one of Fitness Plus’ Master Trainers. She is a Certified Athletic Trainer (NATA) and a Certified Strength and Conditioning Specialist (NSCA) with 20+ years of experience in the fields of sports medicine an personal training. Laura enjoys working with all types of clients; however, her specialty is working with people who are overcoming specific injuries or those who need help overcoming movement issues. Her skills and experience as a personal trainer help her do what she truly loves: helping people improve their “healthspan” by coaching them toward lifestyle changes that will improve their overall strength, mobility, and health. Laura received her B.S. in Psychology at the State University of New York at Stony Brook, and her M.S. in Exercise Physiology at Queens College (New York). When she was growing up in upstate New York, Laura dreamed of visiting the Swiss alps like Johanna Spyri’s heroine “Heidi,” and vowed in her Girl Scout Handbook at age 8 that she would “have a job that helps people be healthy.” Laura is now living her dream.